A sixth-grade student shows a group of first-grade students a starfish ready for dissection. 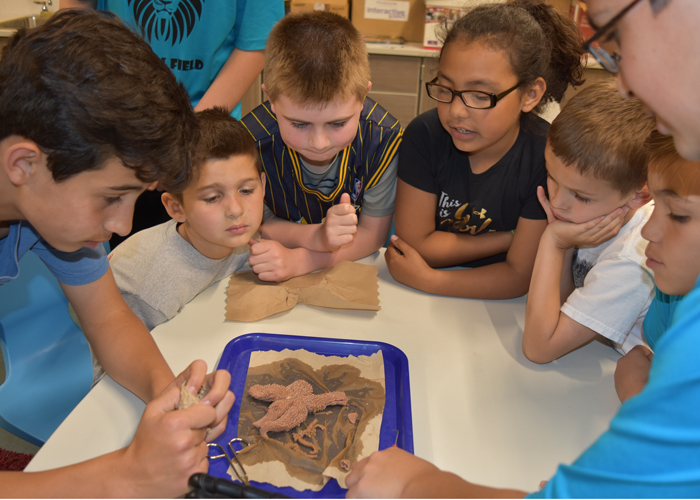 WARSAW — Lincoln Elementary School students recently enjoyed the opportunity to research starfish and share the findings with their peers. Sixth graders studied the anatomy and dissection of a starfish. Following these lessons, students were invited to apply the knowledge and skills they had with small groups of students from different classes. This allowed the entire school the opportunity to get a closer look at these ocean creatures.